The Life Of Faith: How ordinary are you? Is it possible to become a Christian and not be changed? Do you understand the gravity of that question? Possible. Is it possible? I would say of course not...and then I look at my own life. Could someone really tell the difference between my life and that of an unbeliever? I am guilty of this very thing. When I think of how I look different from the world, I tell myself "yeah, I visit the elderly at the nursing home, I teach Sunday School, I'm a volunteer at the Pregnancy Resource Center and occasionally even a homeless shelter, and my husband and I even sponsor a child in Africa! But wait...in that list of "good" that I am doing, aren't there thousands of unbelievers doing the EXACT same thing? My human attempts at being a Christian and doing "good" things still fail at setting me apart from the world! All of those things can be accomplished in our human strength. 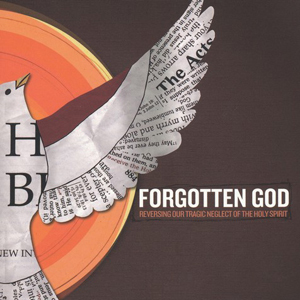 What do we need the Spirit of God for? Well let me ask you this. What happens when you are on your way to church or one of your volunteer opportunities and the neighbor from across the street stops by to ask for your help? Not just any neighbor; the neighbor you don't like. Yeah, that lady who yells at her kids. Her yard is trashed and she plays her music too loud. Her dog even poops in your yard and she doesn't pick it up! She has given you the stink eye several times and has made fun of you for your Christian beliefs. You can't stand this lady. You can't love her in your own power. So do you just brush her off? Do you tell her you are running late and can't help her right now? If I'm being honest with myself, I have definitely done things like that before. I have brushed off the opportunities right before me to do my "good deeds" for God when in fact those are the very situations that He can be most glorified in. These are the situations in which we need to rely on the Spirit of God to love through us. Matthew 5:43-47 "You have heard that it was said, 'Love your neighbor and hate your enemy.' But I tell you: Love your enemies and pray for those who persecute you, that you may be sons of your Father in heaven. He causes the sun to rise on the evil and the good, and sends rain on the righteous and the unrighteous. If you love those who love you, what reward will you get? Are not even the tax collectors doing that? And if you greet only your brothers, what are you doing more than others? Do not even pagans do that?" I want to challenge you to think about who the "unlovable" people in your life are right now. How can you, through the power of the Holy Spirit love them? That is stepping out of the ordinary. An ordinary person can help the poor and needy, sponsor a child etc...but it takes the extraordinary Spirit of God for you to love that person you can't stand. Let's stop trying in our own power to be "good Christians" and let God work through us to be extraordinary! So true...it's easy to confuse doing good with sacrificially loving other. Thanks for the reminder. Haven't read this one, yet. Loved Crazy Love! Just found you via Beauty for Ashes. So happy I did! These are such convicting thoughts. I think our pride so often tries to hold us back. P.S. That is cool you volunteer at a crisis pregnancy center. I just started volunteering at one recently. Girl this is GREAT!!! Ouch ouch that you are SO right that "good people" are sponsoring children and helping their nice neighbors too. "Good people" bring a meal to their friend who just had a baby. But it's not about being a good person is it? Nope...its' about being Jesus...the REAL JESUS to others...standing out risking your station or status on this earth is scary. Thanks for linking up, Faith! Great post. I think there is some good in everybody, although it sometimes take a lot of effort to find it! The goal for me is not just to be good to people I don't like, but to find a reason to like them. It's no easy task, but we have no other choice. We are commanded to "love our enemies." I've known many people in the before and after Christ life - All have changed in some ways... Some very drastic, some a slow change - I'm the latter. All are children of God, all have gifts and blessings! Have a wonderful day!